♥ To help improve the quality of life for marginalized people. ♥ Giving them hope to constructively contribute to their communities. ♥ Achieving societal emancipation by working with targeted population to break out of the cycle of poverty, stigma, discrimination, denial and hopelessness. ♥ Adopted a village in Palghar district, Maharashtra. ♥ Collected raddi from all across Mumbai worth Rs 100,000. Making A Difference Foundation M.A.D supported in funding to Kerala Flood Relief Campaign. M.A.D Foundation felt very honoured to be receiving this donation, which supported and create a betterment in the life of people affected by massive floods occured at Kerela. This will help us in holding hands firm and stand strong for our Nation’s brothers and sisters. 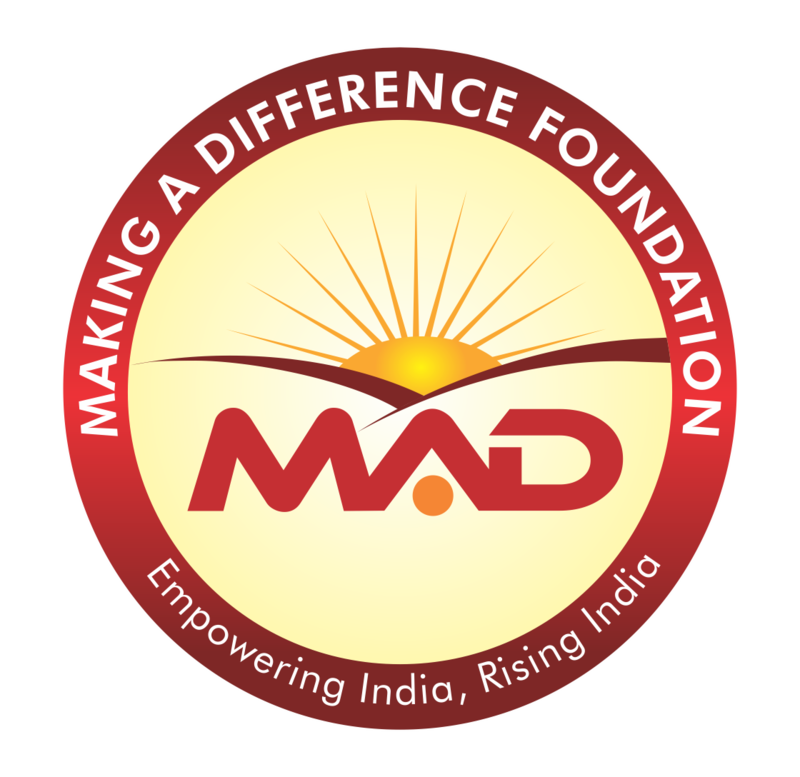 It is our motto to contribute in nation building process as M.A.D Foundation is working for Empowering India, Rising India. 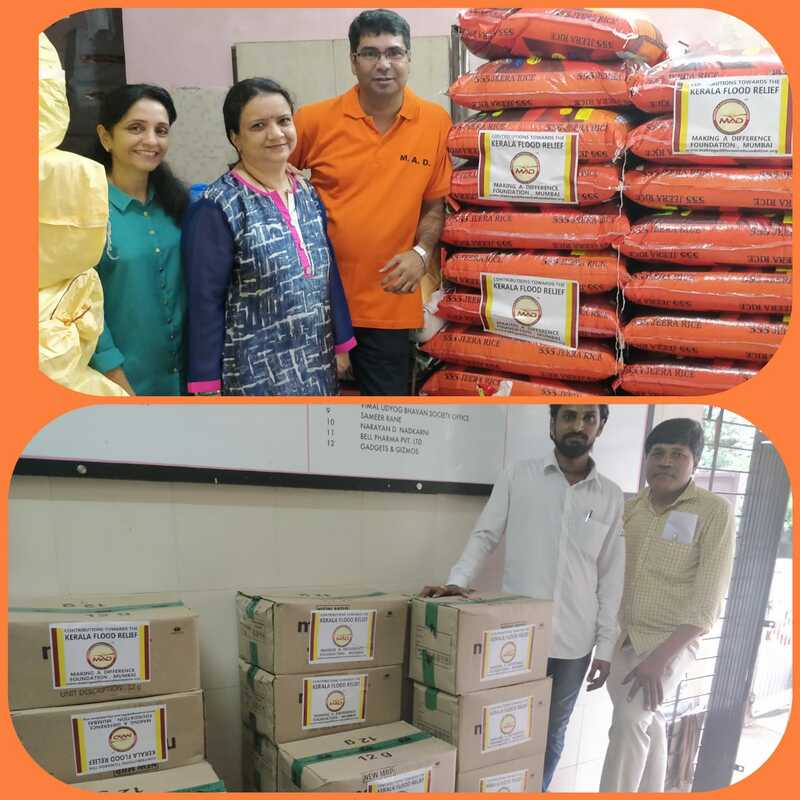 M.A.D Foundation was able to send them 2,500 kg of Rice, 23,040 units of soaps, 1800kg of moong and lastly 1500 packs of mosquito coils.